The past year and a bit has been a huge time of transition for us, but also for our families. Within the span of about 53 weeks, we sold our house in Canada and bought one in Australia; Dan’s parents left their long-time home (last post…), and now Lisa’s parents are moving out of the house in Owen Should where she grew up, after 38 years of living there. She wasn’t born there, or even brought home from the hospital there, but it was the place she lived for much of her pre-adult life. It’s a strange thing to know that you’ll never go “home” again. But what is home? Home can be a country (adopted or otherwise), the place where your family happens to be living, or the place that fills your memories. So, the home of memories — of playing cards with the parents, sipping pina coladas in the backyard and opening Xmas prezzies under the tree in the upstairs living room — will soon belong to someone else. During our visit we expected to have a bit of down time with Lisa’s parents. You know, the usual – playing cards, a few drinks, dinners out… that sort of thing. We did do some of that, but we also spent time with them just talking about the future and possible plans for where mom and dad would spend their golden years. Lisa’s parents are in their 80s and have been doing really well but living in a split-level house (i.e., two sets of stairs, with laundry down in the basement) is a bit more challenging these days – not to mention dealing with the snowy front steps in winter and the flowerbeds in spring. Lisa’s siblings (and contracted snow plowers and grass mowers) have been a big help over the years, but mom and dad thought the time was right to look ahead to a new adventure. So, during our visit, we offered to take them on a tour of the local retirement village hot-spots — and we met with great success! Now, for those of you who have never spent time in a retirement home, let us dispel a few myths. First, retirement villas are NOT nursing homes. 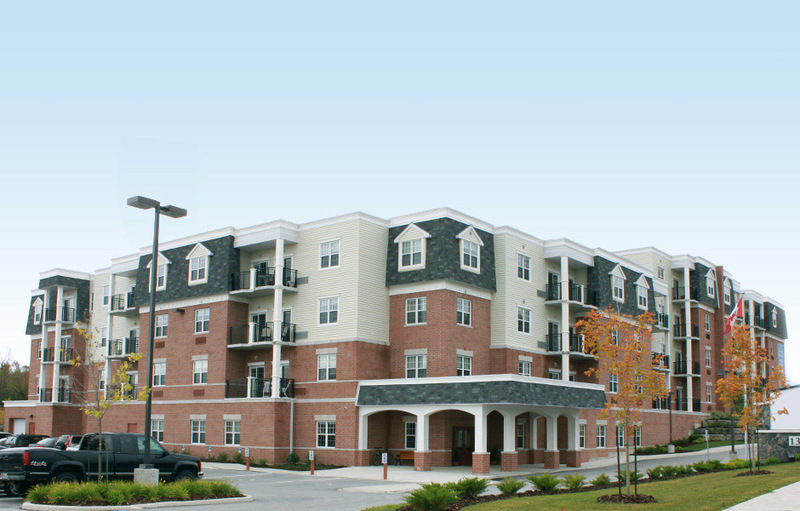 These are two very different things; however, many retirement homes are now comprised of various levels – i.e., apartments (with 2-3 bedrooms), retirement lodges (often 1 bedroom or studio style) and nursing facilities. People can move into the apartments, say in their 60s, and live for 25+ years, moving across the complex as their health or care requirements change. There are many options and it can take a lot of time to sort out what’s best for each person/couple. This retirement home, where Lisa’s parents will soon reside, is really just a cruise ship in permanent dry-dock. Thanks to the baby boomers (and to 60 minutes and other investigative reporting shows that have exposed the poor conditions of many facilities) retirement homes have really changed in recent years. We had no idea what we would find on our day out with mom and dad, but we were pleasantly surprised. These facilities are now catering to a very different clientele than what your grandmother might have experienced. Culinary demos by the resident chef, movie night in the in-house cinema (with a popcorn machine), a few hours in the salon, or surfing the net in a well-appointed library. What’s not to like? We visited two complexes and Lisa’s parents really fell in love with the second place. In addition to the peace of mind that comes with round-the-clock care, a wellness centre, and the thrill of having all of your meals prepared by the resident chef, there are a ton of activities — or you can just decide to chill in your apartment and watch some TV. Whatever you like, you can do! You’ll find euchre clubs and bridge clubs, or you can go on a small-group day trip to Tobermory and other cool places around the Bruce. You can get a manicure, have a coffee on your own private balcony, or you can have a cookie at the 24-hour cafe off the main lobby – you know, next to the fireplace and the big-screen TV. There isn’t a bar but you can BYO throughout the facility. After our visit (which included a free lunch, with some of the best banana bread we’ve ever had!) Dan wanted to know where he could sign up. Lisa’s parents signed themselves up, then and there. After a few years of thinking and talking about “what next” and after wondering how long they could stay in their own home (thankful that their health has been very good! ), they decided that it was time. And the best thing — they have made this decision themselves, together, and will be on their own adventure in the coming weeks as they sell the house and move on. With Dan’s father’s illness we were really mindful of how quickly life can change and people can find themselves in situations they might now choose. You realize how the goofy decisions we make day to day (what colour of car should I buy? Where should we hang this painting? Do we want a house with a pool, or not?) are not so goofy when you aren’t able to make these decisions yourself, on your own terms. You hear so many sad stories of couples who are forced out of their homes when one person is sick, leaving their partner to make some difficult choices alone and at a very stressful time. So, as we have been making our own life choices here in Australia, it’s wonderful to see Lisa’s parents doing the same. It’s a brave and bold step, especially after 38 years in the same house! We now look forward to helping them celebrate their 65th wedding anniversary in 2013 — in the party room on the cruise ship, of course! You can book a huge party room with a chef-style kitchen, to cook your own feast — or a smaller private dining room for a served meal. Is there such a thing as too much choice? We don’t think so. 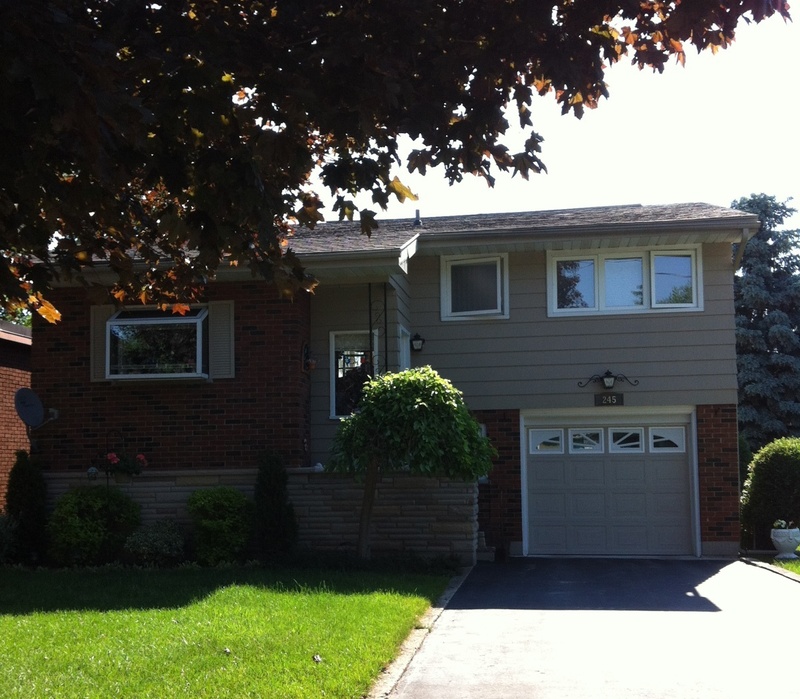 This entry was posted in Canada, homesickness, Owen Sound, real estate. Bookmark the permalink.